Sometimes it pays off to get up early and find the best light of the day. For Natalie and Alex’s engagement session I managed to convince them that we could dodge the summer thunderstorms by meeting up just a little earlier and catching the morning sunshine. The location they had chosen summed up their new life in Switzerland. 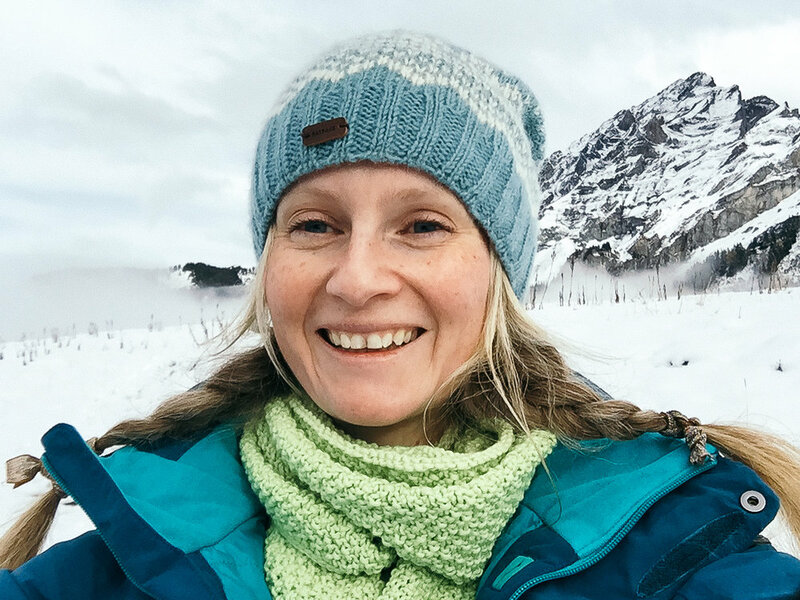 Alpine fresh air, stunning mountain scenery and a leisurely stroll around a secluded lake. What more could you ask for when you are trying to get used to the idea of having your photograph taken?! It is rare that I when I chat to a couple about their wedding photos that they are not nervous about being the centre of attention. Natalie and Alex were no exception. Thankfully a shared British culture of gentle teasing and the opportunity to spend an hour or so together before their wedding day meant that we could easily get used to each other. I always say to couples that there is no need to be ‘lovey-dovey’ if that is not them but I did have to tease these two about getting near each other. I completely understand how alien it is to be yourselves in front of the camera but love those moments when people just dissolve into giggles. You can’t laugh and not be completely you in that moment. When choosing your pre-wedding location it is good to try to find somewhere with a lot of variety in little space. 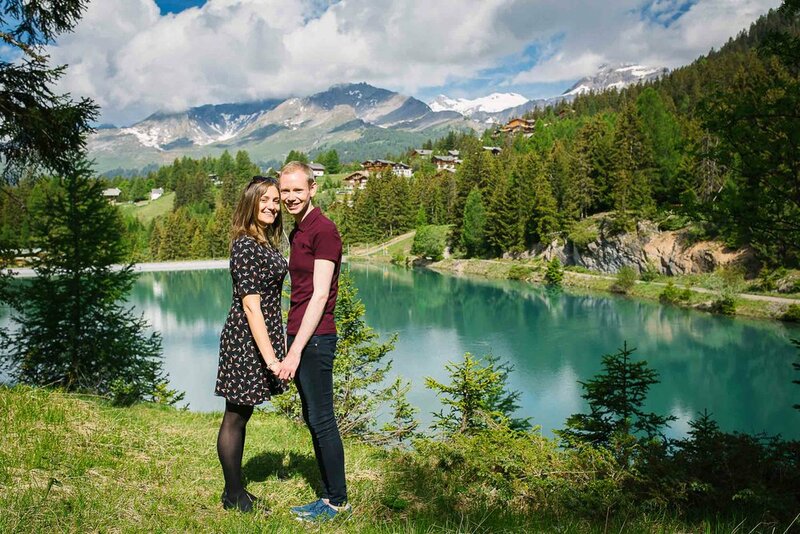 We were so lucky with this lake in Crans Montana and it gave me the opportunity to show Natalie and Alex the effect of different lights, to chat about their favourite style of images while checking out what we could see on the back of the camera, and to think ahead to what might work for the wedding day. Couple photos are not always a major priority for the day, but seeing what we could achieve in a short space of time usually means that couple’s plan in a little more time on the day and go away with great memories. 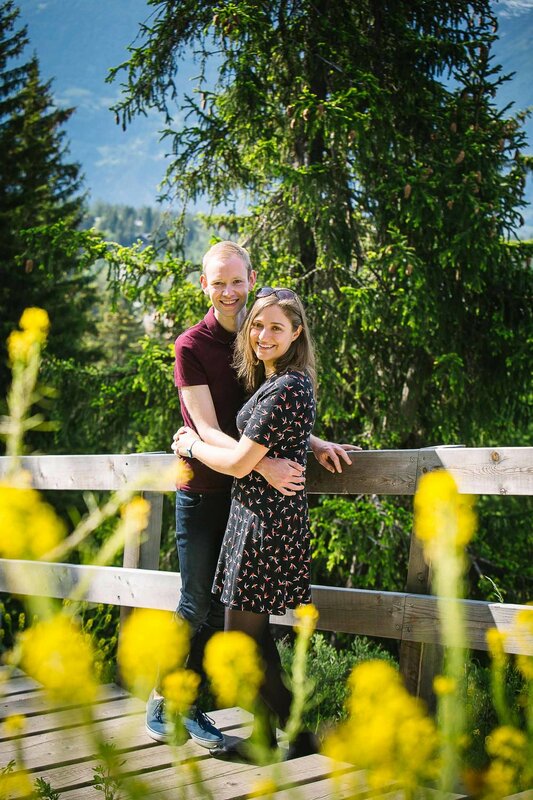 Natalie and Alex chose a full day of wedding photography in Crans-Montana which included an engagement session a few months before the wedding day. It was a great chance to get to know one another and for them both to get used to being in front of the camera. We chose a familiar, beautiful location that was special to the two of them. By the end of our photography session they were relaxed and felt a lot less anxious about the photos for their wedding day. I offer an engagement session with all of my wedding collections. After the shoot you can choose your favourite 20 images to download in hight resolution and print at home. If you would like to learn more about a pre-wedding shoot or just a one off photo shoot for you and your other half, get in touch via the contact form.